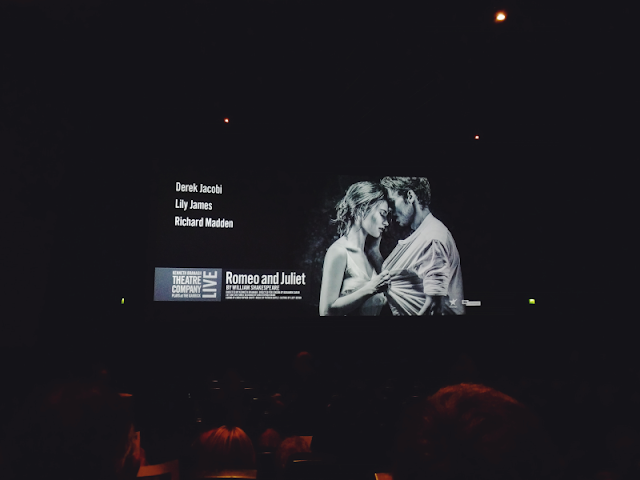 On Thursday my Mum and I went to see the live cinema broadcast of the Branagh Theatre's Romeo and Juliet show and although I didn't think I was going to do a post on this I couldn't keep my gushing to myself! Before I begin I should say that although I've titled this post as a 'review', it's more like a bunch of rambling thoughts so apologies in advance! When I first heard of this show I knew immediately that I had to see it. It actually reunites four of the cast and crew members from Disney's live action Cinderella (including Lily James and Richard Madden who played Ella and Prince Kit!) which is one of my all-time favourite films so seeing this was a no-brainer! I had originally planned to drag either my Sister or Boyfriend to see it with me on stage in London but this soon worked out too expensive, so when I found out they were doing a live cinema stream to cinemas on 7th June it was the perfect solution. My Mum even offered to pay for us to go as a present for finishing my undergrad which made it even more special! My heart almost broke before the show even began though, as one of the directors, Kenneth Branagh, came on stage to say that Richard Madden had injured his ankle a few days ago and for one awful moment I thought he wasn't going to be able to perform but luckily he said that Richard wanted to persevere! I'm really grateful he braved the show though because I was so excited to see both him and Lily James. Aside from the obvious Cinderella-based fangirling, I'm a huge Game of Thrones fan and I also have a massive girl crush on Lily James so I was definitely very starstruck watching this performance! And they both certainly did not disappoint in the slightest. It was so magical to see them reunited again after Cinderella! Aside from the initial fear that Richard Madden might not be performing it honestly turned out to be such a wonderful show. 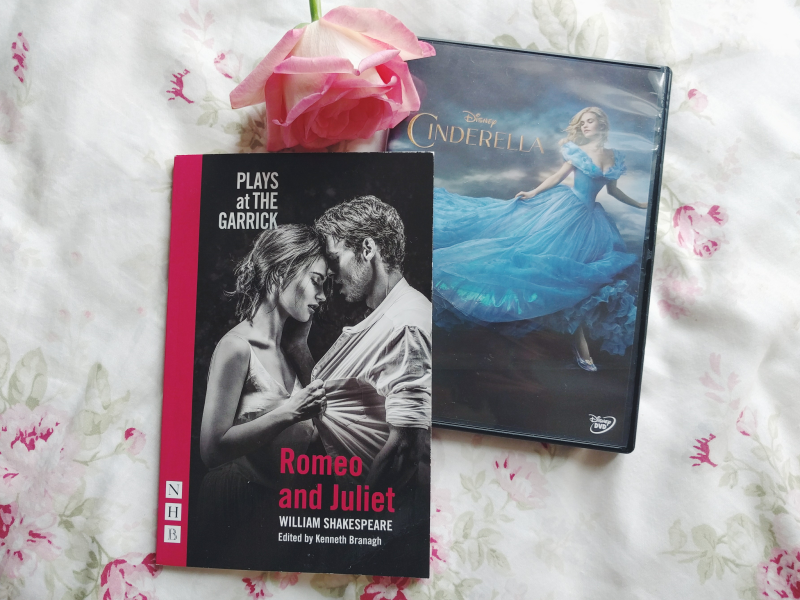 I wasn't really sure what to expect as my exposure to Shakespeare consists mainly of the Leonardo DiCaprio Romeo + Juliet film and although I'll admit that I couldn't understand some of the dialogue, I really enjoyed it! The show was styled around vintage black and white Italian films and I think this worked so well with the storyline. The sets and costumes were all simplistic but gorgeous and the characters were so well cast! I especially loved Derek Jacobi (who played the King in Cinderella) as an older Mercutio. He was hilarious! If you're a fan of the actors at all or just a general fan of Shakespeare then I'd definitely recommend this show. It's running until 13th August at the Garrick Theatre in London so there's still time to catch this wonderful production if you're interested!